We are holding open auditions for our December production of The Nutcracker on Sun 17 September. This is a fresh new version of the magical Christmas tale. Our Nutcracker is set in Donegal and blends drama, comedy and dance in a colourful story for family and school audiences. There will be speaking and dance roles. Like last year’s Christmas show Peter Pan, this will be a youth led production so we are looking for male and female performers from ages 8 to 21. There is no need to prepare anything in advance. NB: You will need to get permission to take time off school as the performance dates are during term time. If you are not available for the performance dates below please do not audition! The Nutcracker is produced by An Grianán Theatre Productions in association with Zona Dance Co. Adapted by Guy Le Jeune, directed by Jessica Peoples. Could you be our Peter Pan? We are looking for someone in their mid to late teens. Male or female, ability to act, sing and dance a definite plus! Michael – male, playing age 8 years old. There are a variety of other roles suitable for children ages 8+, teens and adults. Auditions will be held on Saturday 17th September from 2.30pm – 5pm at An Grianán, it is advised that you arrive close to 2pm to fill out an information sheet prior to the audition. The audition will take the form of a group workshop and the team are seeking proficiency in acting, movement, singing and dance. Rehearsals will take place every Saturday afternoon. NB: performance schedule includes week day matinee shows so please make sure that you are able to get time off school/work. Performance dates are Tues 13 to Sat 17 December 2016. Transition year students could use this production towards securing their President’s Award. This new version will be adapted by Nora Kavanagh and co-directed by her with Trudy O’Donnell. If you are interesting in acting and performing and want to get involved with the local performing arts scene here are some of the companies who perform regularly at An Grianán. Keep an eye out on their social media channels and local media for news on auditions, classes and workshops. The DMEP offer instrumental/vocal tuition in all genres of music (classical, jazz, traditional, rock/pop) at reasonable rates to children and young adults. They have a number of different performing ensembles including the Donegal Chamber Orchestra, the Donegal Youth Orchestra, the Errigal Groove Orchestra and the Errigal Singers. Their annual family Christmas concert in.a well loved fixture in our festive schedule. Cast and crew of the Letterkenny Music and Drama Group’s production of The 39 Steps in 2015. One of Donegal’s most successful and prolific producers of theatre, they produce both musicals and dramas. Recent successes have include the multi award winning comedy The 39 Steps, Calendar Girls and Sister Act. They are also involved with the Letterkenny One Act Festival. Letterkenny Musical Society’s The Mikado, spring 2008. Photo by Paul McGuckin. Produce one musical a year, always to an exceptionally high standard – usually end of February or beginning of March. The Letterkenny Pantomime Society present a panto every January at An Grianan. They take well loved fairytale classics and give them a local spin. One of the country’s oldest and most respected amateur theatre companies. Founded in the 1950s. Recent shows are Tom Murphy’s A Crucial Week in the Life of a Grocer’s Assistant and comedy ‘Allo, ‘Allo. Founded by Nora Kavanagh, On Cue offer classes in musical theatre and drama for children. They normally hold a showcase performance in June. Founded by Jessica Peoples, ZoNa Dance offer high quality training in classical ballet and dance. They normally present a showcase once a year, usually in May. This summer we will be co-producing a new show with the Earagail Arts Festival called Unified the Musical. Inspired by stories from the factory floor, Unified will be a colourful show with live music, singing and a large cast. Rehearsal Schedule: to be finalised but we would envision Saturdays and possibly one weekday evening with a more intensive rehearsal period in the run up to the show. We are looking for adults, across a range of ages, male and female (must be 16+). We will be holding workshop style auditions with the show’s director David Grant, music director Fionn Robinson and choreographer Aoife Toner. Please prepare a song to give us an idea of your voice. Don’t worry if you are not a confident singer as we need chorus singers too. IMPORTANT: If you would like to audition please call our box office on 074 912 0777 in advance to reserve a place as space is limited. Before Pramerica, Boston Scientific and Zeus came to Donegal there was Courtaulds-Lirelle which became UNIFI Textured Yarns, Europe Ltd. UNIFI was part of a textile industry that stretched across the North-West. Fruit of the Loom in Buncrana and Derry, Adria and O’Neills in Strabane, the shirt factories and the nylon spinners. A million, million miles of yarn and thousands of people passed through the doors of these plants. For over thirty years, UNIFI in Letterkenny was the town’s major employer, in a time of rapid social change. Every department was a tribe and every shift had its own personality. Lives were changed, skills learned, friendships formed, partners met, and families reared on the wages. We are going to take all those personal stories and wrap them up in one big rip-roaring, all-singing extravaganza. UNIFIED the Musical is written by the creator of Fiesta, Guy Le Jeune; with original music written by Fionn Robinson and choreography devised by Aoife Toner. The production will be directed by An Grianán’s long-term collaborator, David Grant. David Grant’s previous work with An Grianán includes a touring production of Frank Pig Says Hello, play readings of The Gentle Island and most recently Beneath an Irish Sky, and community theatre productions A Midsummer Night’s Dream and The O’Neill). AUDITIONS – WEDNESDAY 30th Sept & SATURDAY 3rd Oct 2015. Auditions for SAINT JOAN by G.B. Shaw will take place on Wednesday 30th September at 7.30pm and Saturday 3rd October at 2.00pm in the Regional Cultural Centre. 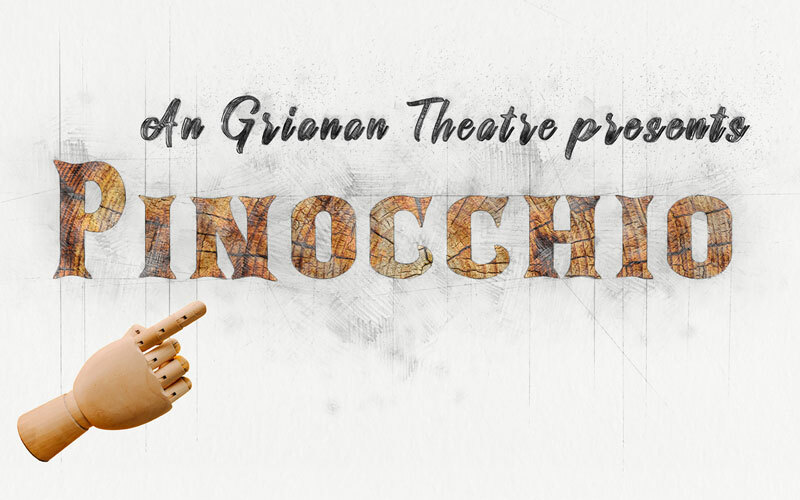 The play will be performed in An Grianán Theatre in January 2016. Each audition will take the form of a workshop (approx 90 mins). This is an excellent opportunity for all actors across Donegal and the North-West to come and audition for a large cast in what promises to be a great production of a fantastic play. Celebrating existing and emerging talent. [box style=”red” closable=”un-closable”]Update 13/4/15: This production has now been cast. Bread and Roses Theatre will be holding auditions for their upcoming production of ‘Can’t Pay? Won’t Pay!’ by Dario Fo, which will be performed at An Grianán during the Earagail Arts Festival. The performances dates are 16 and 17 July. Friday, March 27, 2 – 5:30 pm at Central Library, Oliver Plunkett Road, Letterkenny. Antonia and Giovanni are a married couple, their friends Margherita and Luigi, also a couple, are younger. The third actor plays the Sergeant, Old Man, Inspector and Undertaker. We may also be looking for a stage manager who may do a few small/walk on parts. Rehearsals in June and July are likely to be daytime due to available rehearsal space (the Library and An Grianan) and funding. We can schedule around commitments to some extent but if you are working full-time 9-5, this is probably not for you. Auditions will involve a warmup and workshop followed by reading scenes from the play. If you have an audition monologue you would like to perform, that’s fine, but it is not essential. If you do, please make sure it is 3-5 minutes maximum. Ideally, you will need to be present for the whole session. Bread and Roses Theatre, Director – Kathleen McCreery, Producer – Mark McCollum. If you are interested, please get in touch with Kathleen McCreery via FB or eMail . If you need more information: 074916 3161 or 08794 10962. The Letterkenny Music and Drama Group are holding auditions here at An Grianán for their winter production of the gangster musical classic Bugsy Malone. The cast will be primarily made up of 13-18 year olds but this is only a general guide. If you fall slightly outside of the age bracket, don’t worry, they won’t be checking birth certs! They are looking for the best young local talent available to stage this hilarious and energy packed production which will include actors, singers, dancers and of course plenty of splurge! If you think you’ve got what it takes, send a quick email to bugsymaloneletterkenny@gmail.com stating your name and your age. You will then be given a specified time to audition. This is a two day process so if you are not available for either of these dates please specify clearly in the email. Bugsy Malone performance dates are Tues 2 to Sat 6 December 2014. Our friends at the Earagail Arts Festival are looking to cast a child actor in one of their big events at this year’s festival. I Do is a show by the UK based Dante or Die Theatre Co. Character: A flower girl at a wedding; Kitty is a defiant young girl hiding from her mother in the Bridal Suite. She’s precocious and has heard her mum and dad fighting the night before. Dante or Die’s eleven–‐strong cast voyeuristically peek into the lives of a wedding party as the big moment looms nearer. Divided into six groups, the audience discovers the twists and turns in the plot in different order, seeing the same ten minutes replayed in each of the rooms, from each character’s point of view.